Integrated 500Wh lithium-ion battery system features the highest energy density in its class, giving riders up to 25% greater range than most batteries of similar size and weight. SyncDrive Pro powered by Yamaha is designed for high-performance E-bike riding. Giant tuned the motor to be more powerful for performance-oriented riding. Handlebar-mounted command center provides ergonomically designed controls to adjust riding modes and view data including speed, distance and battery level. New 4-sensor system precisely measures the amount of force a rider is applying to the pedals so that the motor can produce a seamless power boost. 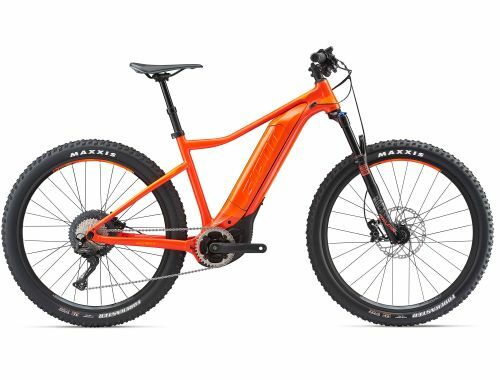 Optimized for off-road performance, frame is tailored for 27.5 wheels, producing the perfect blend of efficiency, control and stability.